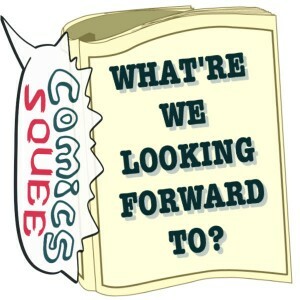 Welcome, lovely listeners and Precious Patrons of Pulp Pamphlet Parlay, to Issue 54 of Comics Squee. Each podcast our panelists, in their Cloaks of Levitation, discuss the comic books, graphic novels, and general sequential art geekery that excites them. Taking the revolving 4th chair this issue is our guest, comics fan and friend of the podcast Amy Muse. In this issue of Comics Squee we have: the mighty Amazon; WWII puzzle solving ; a memoir of Russian immigrants ; and the mistress of Wombats. This graphic novel is not associated with the movie of the same name which is also about Alan Turing. Jim Ottaviani is known for his science history comics and this is another great one. Dave says this is a pretty awesome book. It follows Turing from a school boy and up into his death. The way they tell the story is via interviews, Citizen Kane style. They use color to show what’s in the past, whith the future/now in grey scale. And Ottaviani is good at describing the science and concepts. This is the latest DC relaunch of titles. What’s interesting here is there are two stories happening concurrently; the New 52 Wonder Woman not being able to find Thymescria and loosing her sense of what is true about herself (The Lies), and an origin story for Wonder Woman (Rebirth). There are two different volumes collecting this, one for each story direction. And it’s the Rebrith origin here that’s the best WW origin ever. There’s beautiful Mother- Daughter stuff. Nicola Scott does the Rebirth/origin story line and Liam Sharp’s on art for Lies and they both do a supreme job of drawing Wonder Woman. 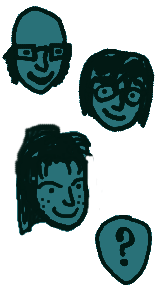 And the faces too, because they’re so important when you want emotional storytelling. And of course the colors are so good and just bring to the art to life. Amy has been a fan of Ursula since she joined Elfwood 20 years ago. She does anthropomorphic art, including adorable winged phallus creatures and an excellent black and white comic about a wombat. And she’s been rewriting kids stories with female characters that save themselves and everyone else. They’re allowed to be fully realized characters and people and it’s not made a big deal of. It’s awesome and Amy loves it. April heard Julia talking about her book on NPR and was like, “Oh my gosh this is so many things up my alley” so she had to check it out. And it’s pretty great. So, this is the great-granduaghter telling the story of her great-grandmother who lived through the Soviet Era in Ukraine and kept journals. And then intercut with these is the story of the author. It’s a really well told story. And it’s interesting because it’s someone’s self-told story edited through the lens of someone who loved them. And the art is gorgeous. Question Time: Who are our favorite warrior characters? From the superhero as warrior spectrum, Green Arrow. Mouse Guard for the more traditional.